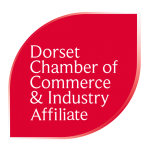 Round three of the Dorset Community Innovation fund is now live on the Dorset For You website. Stage 1 applications close 5pm on Friday 21st September 2018. They welcome applications from Dorset-based community organisations that can show how their projects would help achieve the outcomes for local people set out in the county council’s corporate plan. and having a prosperous economy. Community groups and organisations who meet the funding criteria can apply for one of the two available funding pots. There is a ‘Micro’ Grants fund that supports groups who need up to and including £2,000 for their project, and a main grants fund that supports more complex projects looking for between £2,000 and £8,000. Funding can be used for both capital and revenue projects.